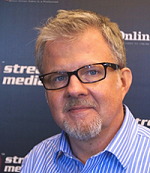 As we saw the tenth anniversary of StreamingMedia.com and the Streaming Media conferences approaching, we knew the time had come for us to acknowledge the most important people in the industry. And, since our anniversary was approaching at the same time as spring training, it seemed only fitting to call the list the Streaming Media All-Stars. 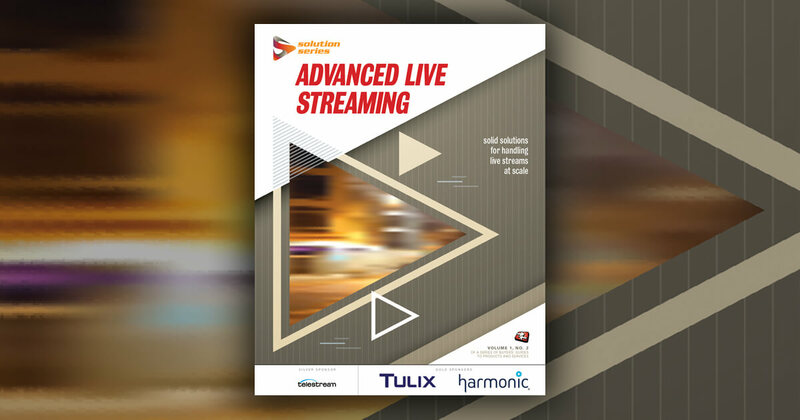 Click here for a look at the 2008 Streaming Media All-Stars using Microsoft Silverlight. Move your mouse to the top of the frame to scroll through thumbnails of the baseball cards and go right to the one you want to look at. Click here for the Adobe Flash version. We weren’t necessarily looking to honor the biggest names in the biz, which is why you won’t find YouTube’s Steven Chen and Chad Hurley here, even though they may be responsible for the most significant sea change in our industry. They’ve gotten plenty of attention elsewhere, and besides, they’ve not been active in the trenches in a way that’s contributed to the longterm growth and development of the streaming media industry. Same for Mark Cuban, Bill Gates, Steve Jobs—all people whose influence on streaming media has been undeniable, but none of whom view the industry as their primary vocation. Rather, we wanted to honor the people who’ve done the most over the last ten years to advance both new technologies and sustainable business models. We also wanted to take into consideration those who time and time again have given back to the industry by educating newcomers and evangelizing beyond our own walled garden. And since it’s the first year we’re handing out these honors, we wanted to make sure that industry veterans get their due. To extend the baseball metaphor, you might even say that these 25 people make up streaming media’s Hall of Fame. We began the selection process by issuing a call for nominations on StreamingMedia.com and to our Streaming Media discussion lists. From a list of more than 75 nominees, we picked the 25 who most clearly fit the bill, either for the technology they’ve created and advanced or the ways in which they’ve implemented solutions as end users. Some of the names you’ll recognize, I’m sure; others you might not. They’ve all been fixtures at Streaming Media shows, and once you take a look at their accomplishments, you’ll see why they made the lineup. • What are your proudest achievements? • What’s the "next big thing" you’re working on? • What’s the biggest change you’ve seen over the last 10 years? • What’s the biggest challenge facing the industry, and what can we do to address it? We've made "baseball cards" for each All-Star, and we'll be handing out a limited number of sets at the Streaming Media East Show in New York in May. Special thanks go to Ripcode for helping make the Streaming Media All-Stars awards possible. Congratulations to all of them. Stephen Condon, Vice President of Marketing, VeriSign, Inc.
• The 2006 Right Tools marketing campaing for Entriq. "The realization that quality video cannot be distributed on any scale from a central source (reference the demise of Broadcast.com). The video must be distributed and served from many locations and increasingly it is being realized that it is best being distributed all the way to the end consumer via commercial P2P." "The solutions are available to deliver an extremely compelling experience to consumers, but packaging the technologies together is extremely complex and requires pulling together a number of companies and considerable expense. Not sure why someone has not been able to assemble best-of-breed solutions and offer them as a packaged service. We will need to cooperate better as an industry to achieve this." • Founded TV on the Web, Inc. in 1996, producing some of the first national interactive webcasts and introducing the concept of an "Internet TV Channel." • Founded TV Worldwide in 1999. While pioneering webcasting applications such as captioned video streaming for disabled audiences, TV Worldwide developed the first internet TV network of community-based internet TV channels. Biggest challenge facing the industry:"The biggest problem we face is defining the parameters and potential of the streaming and digital media industry for mainstream corporate America. We also need to make sure we have a seat at the table in Washington, D.C., to respond to challenges ranging from Net Neutrality to internet taxation." "The widespread adoption of streaming media by the masses on multiple screens including PC and mobile. Ten years ago, streaming media was not something easily accessible to the masses whereas now, tens of millions of people around the world are watching and consuming entertainment and information content online and on mobile." "There is still a dearth of high-quality media available and consumed by the mass public. Widely popular videos produced by Saturday Night Live and Jimmy Kimmel are a rarity while "bride and groom falling into wedding cake videos" are unfortunately commonplace. The industry needs to continue to develop and create high-quality content for the general public to meet the standards previously set by television and film."